Pen and ink plus black color pencil on textured bristol board paper, created at a game convention in 1996! Available as a print as well. 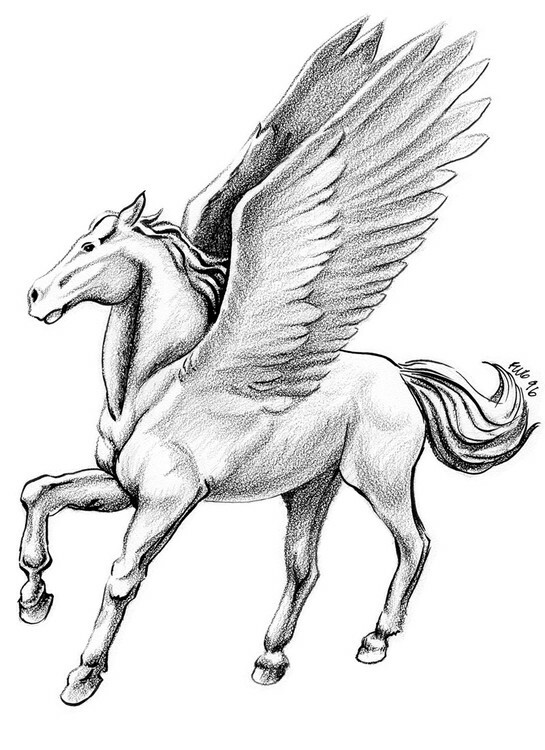 Approximately 10 x 13.25 in black and white Pegasus image on 12 x 18 in archival paper. Prints available in matte or glossy finish. Price includes shipping. Mailed in clear protective archival envelope and cardboard tube. Thanks for looking. Artist Reply: thanks for all your comments! Artist Reply: Thank you, its been too long since I've been active here.